Luftwerk and Perrier invite you to a series of concerts throughout 2016 featuring longtime Luftwerk collaborator, musician and composer Owen Clayton Condon. The series is free, open to the public, and sponsored in part by Perrier. On January 20, 6–8pm, Condon will perform live at Garfield Park Conservatory coinciding with the ongoing ‘Wednesday Evening Activations,’ which showcase the illumination of solarise: a sea of all colors exhibition. 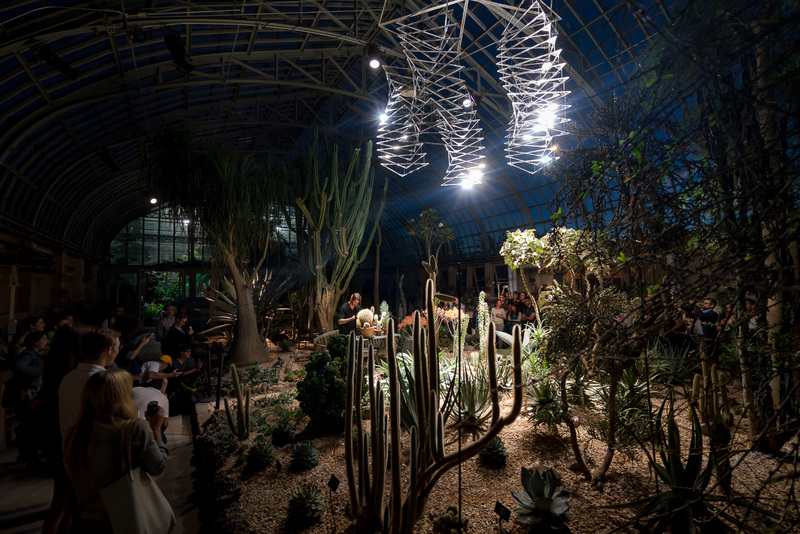 Using plant materials from the Conservatory’s collection, Condon composed the original music that accompanies Prismatic—the suspended sculpture in the Desert House—by manipulating and recording the fronds and needles of plants.